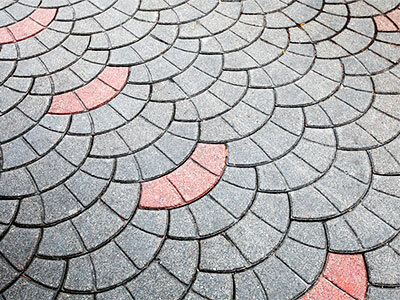 The most creative pathways or driveways to have in your garden are made from stamped concrete. Have you ever seen pathways that have hand prints or initials carved on to the concrete? You may always have admired them but may have never thought about having it in your own house. Having such a driveway is simple and it also creates a unique signature for your home. They add character to your outdoors and look attractive to visitors. The most basic idea behind having stamped concrete pathways is to cut out the drab from regular concrete driveways and make it look more exciting. Stamped concrete is a style of laying concrete in your driveway, patio, walkway or sidewalks. It is also referred to as patterned, stenciled or imprinted concrete. Landscape designers employ several creative ideas while designing pathways using such concrete techniques. This type of concrete can be dyed in various colors, mixed with other substances like glitters and shining chips and also can be shaped in unique ways. There are various materials like asphalt, and stone that can be used to create this type of concrete. This concrete falls under the category of decorative stamped concrete. For creative ideas, the sky is the limit and there are really no rules that one has to follow. If we have a home with a car park and garage, then a driveway is a must. Having one normal driveway which leads right into the garage sounds so clichéd. There would be no visible difference between your house and your neighbor’s property. Using stamped concrete, you can create a unique signature for your property. It is a great way to add value to your property as well. You can make a lasting impression right at the entrance of your home. By using the right lighting and gardening features, you can further accentuate the driveways or pathways. Today concrete stamping is one of the most preferred methods to lay driveways by professional landscape designers. 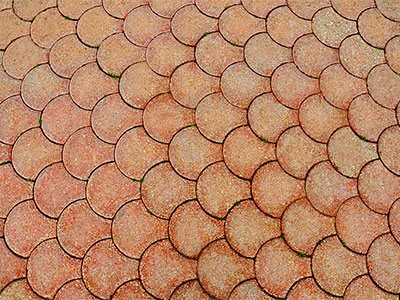 If you want such an effect in your home, you should contact professional paving companies, like Unlimited Landscape Hawaii LLC. We are pioneers of landscape design in Hawaii. People who are skilled enough can try a do-it-yourself project when laying designer concrete. However, if you want the driveway to last long then you need to know the techniques and should also have a considerable amount of experience doing it. Such DIY projects prove to be ambitious and require a lot of effort for the novice. Also, remember that once you start lying concrete, you cannot stop it midway. You have to finish it the same day that you started. You will need the help of skilled labor to complete the concrete stamping task. It is best to make use of a professional landscaping service to get that unique designer effect. If you have been dreaming about that designer concrete surface for your property; contact Unlimited Landscape Hawaii LLC today. We can show you the way to create your dream pathways using our expertise and wealth of experience.